Just when we thought we couldn't get this excited for a superhero movie again, along comes Carol Danvers, aka Captain Marvel. 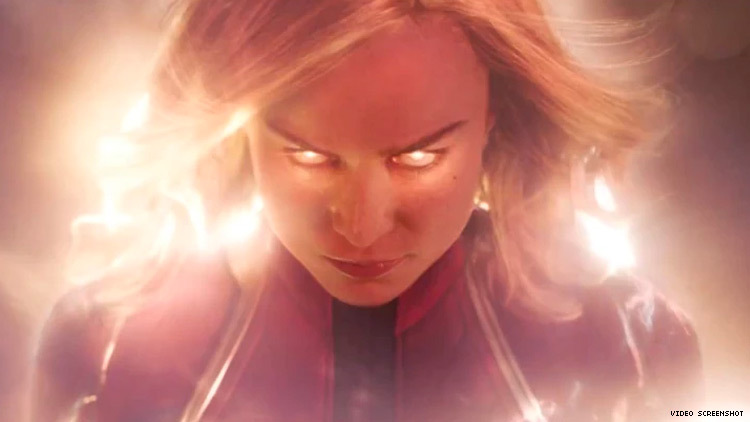 We've still got seven months until the release of Marvel Studios' Captain Marvel starring Brie Larson, but the new trailer had us gripping our seats! Set in the 1990s, Captain Marvel recounts the story of air-force captain Danvers (a Kree-Human hybrid) and her defection from Starforce, the elite military team on the Kree planet of Hala, and later, her subsequent team up with Nick Fury (Samuel Jackson). Captain Marvel blows up worldwide in March of 2019. Watch the trailer below!